The Delta is the A-9 enhanced with O-ring seals around the perimeter of the fork crown race, upper head tube race and locknut. Like the A-9 the Delta is available in only a 1" diameter in either Black or Silver with English or French threads. 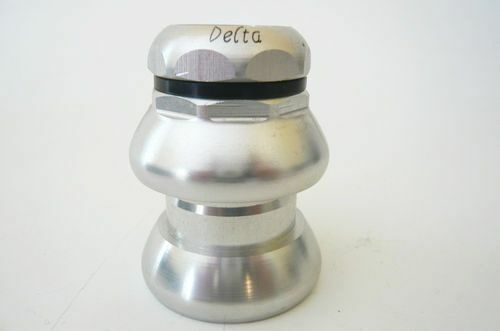 The Delta appears in a Stronglight 1984 headset and bottom bracket flyer and in the 1986 and 1987 Stronglight catalogs.